Here in Romania, when a person is young and full of life and energy, we say that he or she is in the “flower of life”. 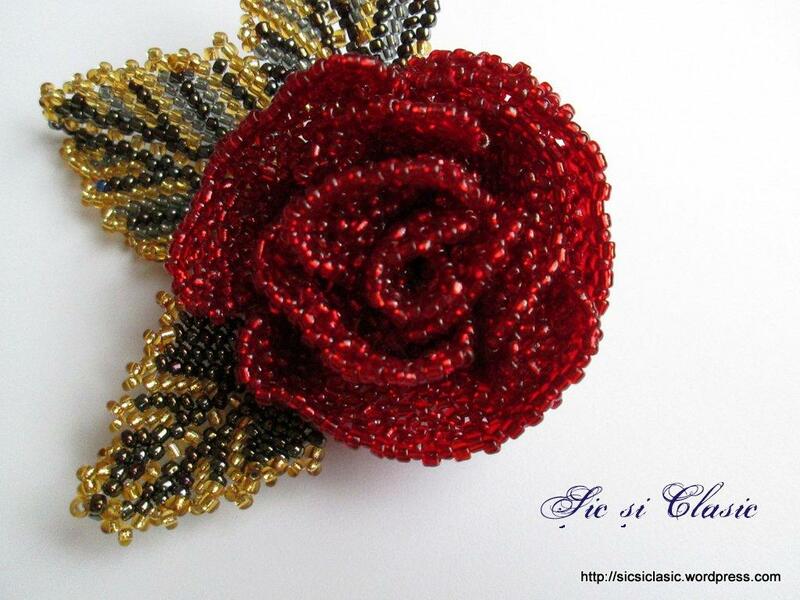 This rose, is a brooch, a very hight quality of handmade work. 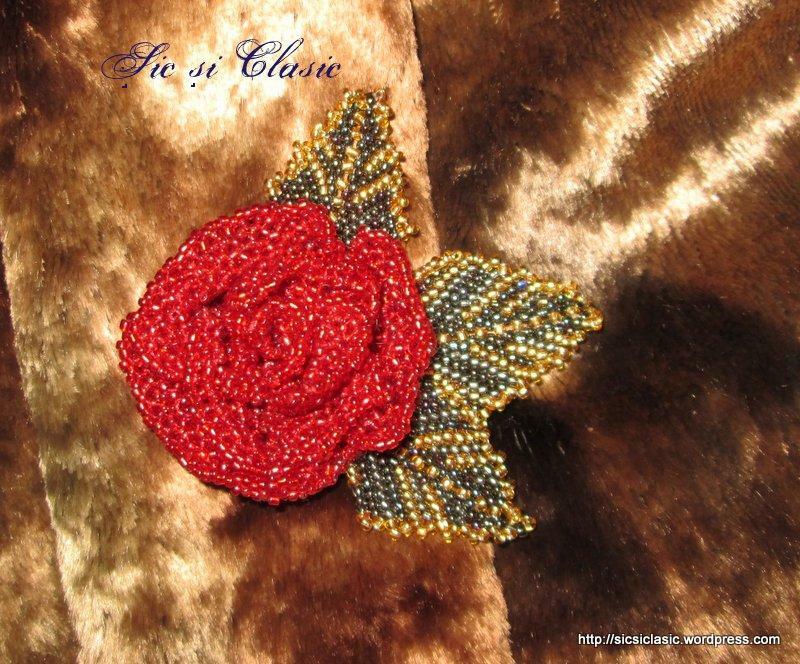 In fashion, nothing can be com pared with a piece of handmade work. Actualy when you are wearing something made by hand, you are wearing a piece from whom made it. Is curious how objects can be empowered with energy. This is the reason that fine arts are called luxury. such amazing detail, it looks as delicate as a real flower! What fine, lovely intricate detail. Spectacular. I wish I had your talent. Keep doing what you do. As an Italian we have the same saying. 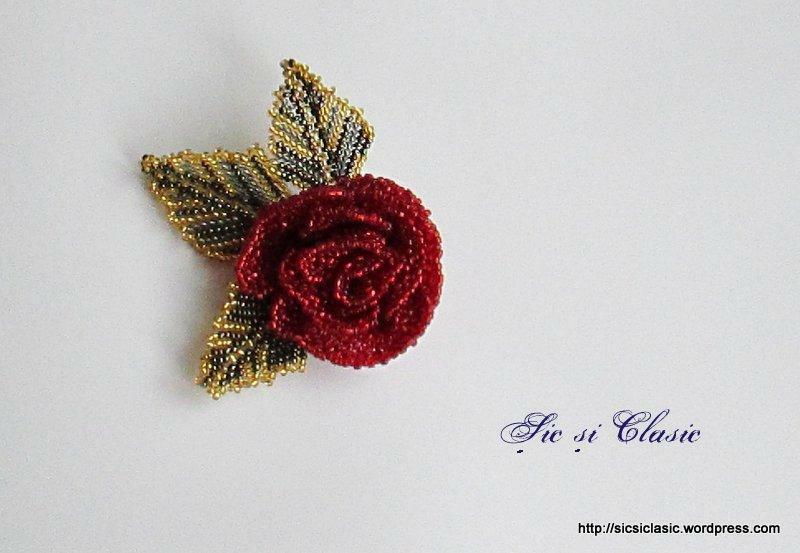 I love brooches and I would love having this one in my collection. Gorgeous!!!! Meraviglioso! It looks great. Molto bene! Love the brooch and was intrigued by that saying. Very nice! Wow! You are so talented! This piece is my favourite yet! Is very beautiful! You are so right… it is like wearing a little bit of the artist’s soul, to wear something like this. Very sweet and elegant, i love this! 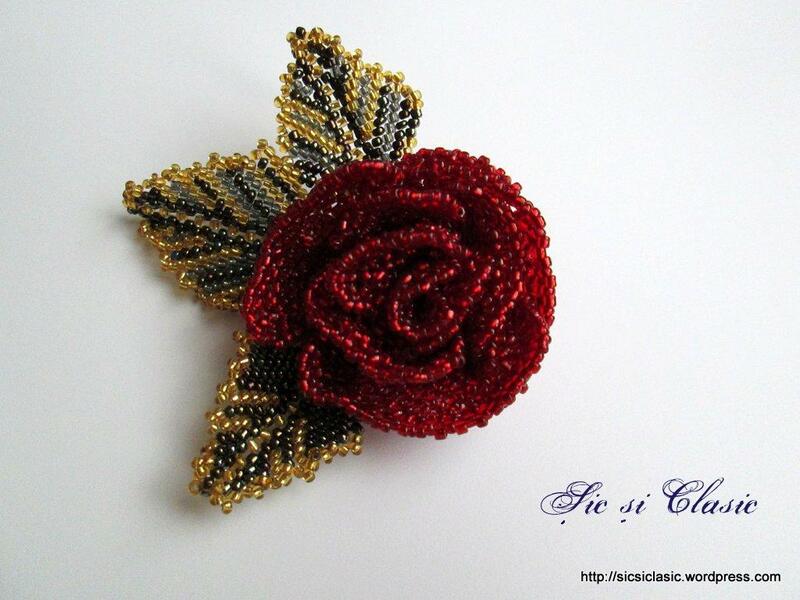 Beautiful broach. Thanks for sharing it. Wow! Is that all made with beads? It’s very pretty. Such a beautiful brooch, and such a lovely way of looking at handmade jewellery – we love the idea that you’re taking the maker with you wherever you go! A beautiful brooch, very unique! This is phenomenal. Your Hand pieces are pure beauty and please continue to share with the world. Love the idea of ORIGINAL work! Reblogged this on Bloggers Heaven Blog. There are some Asian saying that hint that the lotus flower means the same thing — rebirth, young, and fresh. I like that you say, “This is the reason that fine arts are called luxury.” You’re right. Such attention to detail and beautiful! Stunning! The detail is gorgeous. The energy of a human spirit combined with nature’s electric energy. Beautiful! You have captured the rose beautifully. I had a relative once who believed that any time she received the picture of a rose on a card believed that one of her prayers had been answered. Any one who is lucky enough to wear your brooch has indeed had their prayers answered. A stunning piece of work. Congratulations. Beautiful Romanian deisign – The Flower of Youth! Lovely piece, and elegant, just like the necklace you created. If I knew Romanian, I would say, “Great work” !